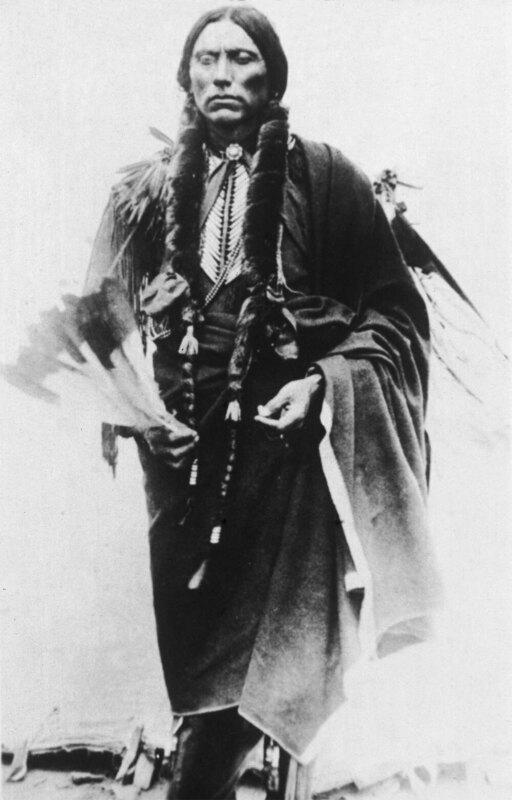 The Rise And Fall Of The Comanche 'Empire' Quanah Parker, considered the greatest Comanche chief, was the son of Cynthia Ann Parker, a white pioneer woman kidnapped by a raiding party when she was a little girl. 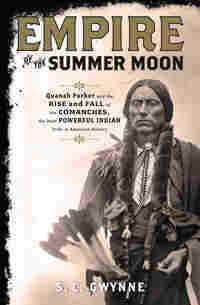 Their story — and the saga of the powerful American Indian tribe — is told by S.C. Gwynne in his book, Empire of the Summer Moon. 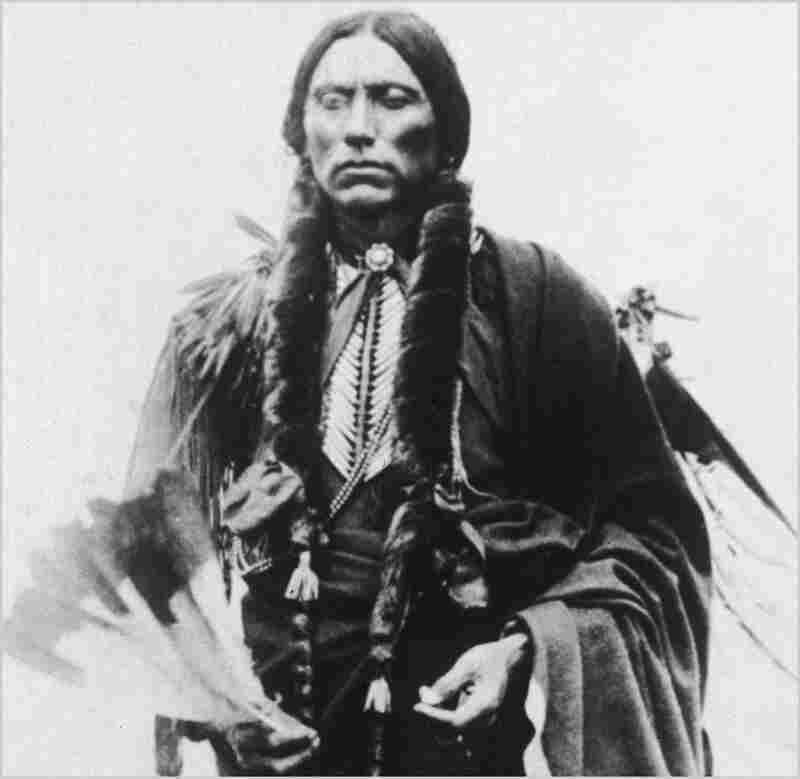 Quanah Parker was the last chief of the Comanches — and the son of Cynthia Ann Parker, who was captured as a child by the Comanches. This story was originally broadcast on June 23, 2010. Empire of the Summer Moon is now available in paperback. In 1836, a 9-year-old pioneer girl named Cynthia Ann Parker was kidnapped during a Comanche raid in North Texas. She was strapped onto the back of a horse and taken north, back into the Plains where the powerful American Indian tribe lived. Parker became a ward of the chief and later, a full member of the Comanches. She eventually married a highly respected Comanche chief and gave birth to three children, including Quanah — who would grow up to become the last and greatest Comanche leader. 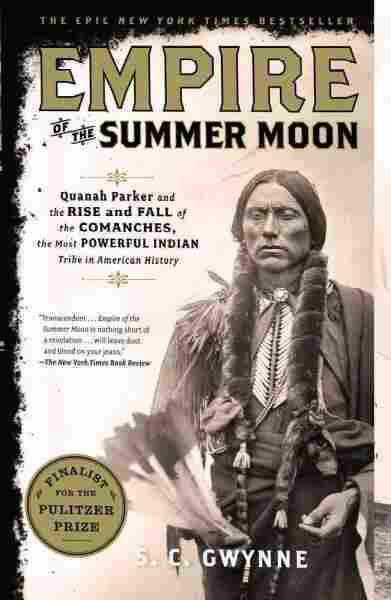 The story of Cynthia Ann and her son, Chief Quanah Parker, is told in S.C. Gwynne's book, Empire of the Summer Moon. Gwynne traces the rise and fall of the Comanche Nation against the backdrop of the fight for control of the American Midwest. Gwynne tells Fresh Air's Terry Gross that he became interested in telling the Comanche story because of their integral role in preventing — and then opening up — the American West to white settlers. 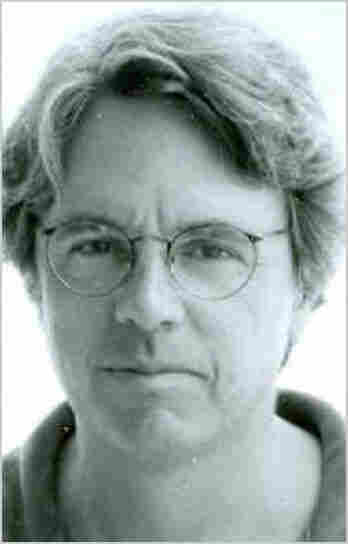 S.C. Gwynne has written for Time, Texas Monthly and The New York Times. "I grew up in the Northeast and I moved to Texas about 16 years ago and I started hearing stories about Comanches and I really didn't know what a Comanche was. I think I had heard about Comanches in a John Wayne movie or something but I really didn't know who they were. When I started to read a little bit about them, I realized that they were just this enormous force — this enormous force of nature sitting in the middle of the North American continent who determined how the West opened." "This is what Indians did to Indians and this just happened to be Indians meeting whites. But the automatic thing in battle is that all the adult males would be killed. That was automatic. That was one of the reasons that Indians fought to the death. The white men were astonished by it but they were assumed that they would be killed. Small children were killed. Very small children were killed. A lot of the children in say, the 3-10 range were often taken as captives. The women were often raped and often killed. And all of the people in those settlements back in those years knew what a Comanche raid was — knew what a Comanche raid meant. ... And it's an interesting kind of moral question as a historian about Plains Indians or American Indians in general. You have to come to terms with this — with torture, which they practiced all across the West — and these kind of grisly practices that scared white people to death." "There was even an attempt at one point to deny that Indians were warlike. Comanches were incredibly warlike. They swept everyone off the Southern plains. They nearly exterminated the Apaches. And you know, if you look at the Comanches and you look back in history at Goths and Vikings or Mongols or Celts — old Celts are actually a very good parallel. In a lot of ways, I think we're looking back at earlier versions of ourselves. We — being white European — did all of those things. Not only that but torture was institutionalized during things like the Counter-Reformation and the Spanish Inquisition and the Russian Revolution." "The Comanches were kind of like the Spartans. Because of their incredible military mastery, which derived from the horse — they were the prototype horse tribe, the tribe that could do more with the horse than any other tribe could. Because of that, it was a military community and their old way of life was supplanted by the new way of life which mainly had to do with war. So they pretty much hunted buffalo ... and started war. And they were amazingly stripped down in that they didn't have social organization or religious organization. They didn't weave baskets. They had a very stripped-down culture. So within that culture the boys learned to hunt and ride at a very early age and they would become a warrior in their midteens." "Their lives were built on two things, really — it was war and buffalo. All of the Plains Indians, once they got the horse from the Spanish, buffalo hunting became easier for them. It was their way of life. The buffalo hunting began as a simple market exercise. Hunters figured out they could get $3.50 a hide. Then they figured out they could ship these hides east on the new railroads. And they also figured out that buffalos were not smart enough to realize that if a buffalo next to the buffalo dropped, that there was something wrong. The buffalo had to see the source of the danger. So you'd have these people who would kill 3,500 buffalo in 28 days ... It occurred to the generals in the West, specifically [Philip] Sheridan and [William] Sherman, that by allowing the buffalos to be destroyed, they were creating the most efficient way to destroy Indians. And Sheridan had a famous quote. He said, 'You kill the buffalo, you destroy the Indian's commissary.' So it became political at the end. Yes, let's kill all the buffalos and then it's the end of Plains Indians because there is no Plains Indian without a buffalo." Cavalrymen remember such moments: dust swirling behind the pack mules, regimental bugles shattering the air, horses snorting and riders' tack creaking through the ranks, their old company song rising on the wind: "Come home, John! Don't stay long. Come home soon to your own chick-a-biddy!" The date was October 3, 1871. Six hundred soldiers and twenty Tonkawa scouts had bivouacked on a lovely bend of the Clear Fork of the Brazos, in a rolling, scarred prairie of grama grass, scrub oak, sage, and chaparral, about one hundred fifty miles west of Fort Worth, Texas. Now they were breaking camp, moving out in a long, snaking line through the high cutbanks and quicksand streams. Though they did not know it at the time — the idea would have seemed preposterous — the sounding of "boots and saddle" that morning marked the beginning of the end of the Indian wars in America, of fully two hundred fifty years of bloody combat that had begun almost with the first landing of the first ship on the first fatal shore in Virginia. The final destruction of the last of the hostile tribes would not take place for a few more years. Time would be yet required to round them all up, or starve them out, or exterminate their sources of food, or run them to ground in shallow canyons, or kill them outright. For the moment the question was one of hard, unalloyed will. There had been brief spasms of official vengeance and retribution before: J. M. Chivington's and George Armstrong Custer's savage massacres of Cheyennes in 1864 and 1868 were examples. But in those days there was no real attempt to destroy the tribes on a larger scale, no stomach for it. That had changed, and on October 3, the change assumed the form of an order, barked out through the lines of command to the men of the Fourth Cavalry and Eleventh Infantry, to go forth and kill Comanches. It was the end of anything like tolerance, the beginning of the final solution. The white men were grunts, bluecoats, cavalry, and dragoons; mostly veterans of the War Between the States who now found themselves at the edge of the known universe, ascending to the turreted rock towers that gated the fabled Llano Estacado — Coronado's term for it, meaning "palisaded plains" of West Texas, a country populated exclusively by the most hostile Indians on the continent, where few U.S. soldiers had ever gone before. The llano was a place of extreme desolation, a vast, trackless, and featureless ocean of grass where white men became lost and disoriented and died of thirst; a place where the imperial Spanish had once marched confidently forth to hunt Comanches, only to find that they themselves were the hunted, the ones to be slaughtered. In 1864, Kit Carson had led a large force of federal troops from Santa Fe and attacked a Comanche band at a trading post called Adobe Walls, north of modern-day Amarillo. He had survived it, but had come within a whisker of watching his three companies of cavalry and infantry destroyed. The troops were now going back, because enough was enough, because President Grant's vaunted "Peace Policy" toward the remaining Indians, run by his gentle Quaker appointees, had failed utterly to bring peace, and finally because the exasperated general in chief of the army, William Tecumseh Sherman, had ordered it so. Sherman's chosen agent of destruction was a civil war hero named Ranald Slidell Mackenzie, a difficult, moody, and implacable young man who had graduated first in his class from West Point in 1862 and had finished the Civil War, remarkably, as a brevet brigadier general. Because his hand was gruesomely disfigured from war wounds, the Indians called him No-Finger Chief, or Bad Hand. A complex destiny awaited him. Within four years he would prove himself the most brutally effective Indian fighter in American history. In roughly that same time period, while General George Armstrong Custer achieved world fame in failure and catastrophe, Mackenzie would become obscure in victory. But it was Mackenzie, not Custer, who would teach the rest of the army how to fight Indians. As he moved his men across the broken, stream-crossed country, past immense herds of buffalo and prairie-dog towns that stretched to the horizon, Colonel Mackenzie did not have a clear idea of what he was doing, where precisely he was going, or how to fight Plains Indians in their homelands. Neither did he have the faintest idea that he would be the one largely responsible for defeating the last of the hostile Indians. He was new to this sort of Indian fighting, and would make many mistakes in the coming weeks. He would learn from them. Just how bad things were in 1871 along this razor edge of civilization could be seen in the numbers of settlers who had abandoned their lands. The frontier, carried westward with so much sweat and blood and toil, was now rolling backward, retreating. Colonel Randolph Marcy, who accompanied Sherman on a western tour in the spring, and who had known the country intimately for decades, had been shocked to find that in many places there were fewer people than eighteen years before. "If the Indian marauders are not punished," he wrote, "the whole country seems in a fair way of becoming totally depopulated. "3 This phenomenon was not entirely unknown in the history of the New World. The Comanches had also stopped cold the northward advance of the Spanish empire in the eighteenth century — an empire that had, up to that point, easily subdued and killed millions of Indians in Mexico and moved at will through the continent. Now, after more than a century of relentless westward movement, they were rolling back civilization's advance again, only on a much larger scale. Whole areas of the borderlands were simply emptying out, melting back eastward toward the safety of the forests. One county — Wise — had seen its population drop from 3,160 in the year 1860 to 1,450 in 1870. In some places the line of settlements had been driven back a hundred miles.4 If General Sherman wondered about the cause — as he once did — his tour with Marcy relieved him of his doubts. That spring they had narrowly missed being killed themselves by a party of raiding Indians. The Indians, mostly Kiowas, passed them over because of a shaman's superstitions and had instead attacked a nearby wagon train. What happened was typical of the savage, revenge-driven attacks by Comanches and Kiowas in Texas in the postwar years. What was not typical was Sherman's proximity and his own very personal and mortal sense that he might have been a victim, too. Because of that the raid became famous, known to history as the Salt Creek Massacre. Seven men were killed in the raid, though that does not begin to describe the horror of what Mackenzie found at the scene. According to Captain Robert G. Carter, Mackenzie's subordinate, who witnessed its aftermath, the victims were stripped, scalped, and mutilated. Some had been beheaded and others had their brains scooped out. "Their fingers, toes and private parts had been cut off and stuck in their mouths," wrote Carter, "and their bodies, now lying in several inches of water and swollen or bloated beyond all chance of recognition, were filled full of arrows, which made them resemble porcupines." They had clearly been tortured, too. "Upon each exposed abdomen had been placed a mass of live coals. . . . One wretched man, Samuel Elliott, who, fighting hard to the last, had evidently been wounded, was found chained between two wagon wheels and, a fire having been made from the wagon pole, he had been slowly roasted to death — 'burnt to a crisp.' "
Thus the settlers' headlong flight eastward, especially on the Texas frontier, where such raiding was at its worst. After so many long and successful wars of conquest and dominion, it seemed implausible that the westward rush of Anglo-European civilization would stall in the prairies of central Texas. No tribe had ever managed to resist for very long the surge of nascent American civilization with its harquebuses and blunderbusses and muskets and eventually lethal repeating weapons and its endless stocks of eager, landgreedy settlers, its elegant moral double standards and its complete disregard for native interests. Beginning with the subjection of the Atlantic coastal tribes (Pequots, Penobscots, Pamunkeys, Wampanoags, et al), hundreds of tribes and bands had either perished from the earth, been driven west into territories, or forcibly assimilated. This included the Iroquois and their enormous, warlike confederation that ruled the area of present-day New York; the once powerful Delawares, driven west into the lands of their enemies; the Iroquois, then yet farther west into even more murderous foes on the plains. The Shawnees of the Ohio Country had fought a desperate rearguard action starting in the 1750s. The great nations of the south — Chicasaw, Cherokee, Seminole, Creek, and Choctaw — saw their reservation lands expropriated in spite of a string of treaties; they were coerced westward into lands given them in yet more treaties that were violated before they were even signed; hounded along a trail of tears until they, too, landed in "Indian Territory" (presentday Oklahoma), a land controlled by Comanches, Kiowas, Araphoes, and Cheyennes. Even stranger was that the Comanches' stunning success was happening amid phenomenal technological and social changes in the west. In 1869 the Transcontinental Railroad was completed, linking the industrializing east with the developing west and rendering the old trails — Oregon, Santa Fe, and tributaries — instantly obsolete. With the rails came cattle, herded northward in epic drives to railheads by Texans who could make fast fortunes getting them to Chicago markets. With the rails, too, came buffalo hunters carrying deadly accurate .50-caliber Sharps rifles that could kill effectively at extreme range — grim, violent, opportunistic men blessed now by both a market in the east for buffalo leather and the means of getting it there. In 1871 the buffalo still roamed the plains: Earlier that year a herd of four million had been spotted near the Arkansas River in present-day southern Kansas. The main body was fifty miles deep and twenty-five miles wide.7 But the slaughter had already begun. It would soon become the greatest mass destruction of warm-blooded animals in human history. In Kansas alone the bones of thirty-one million buffalo were sold for fertilizer between 1868 and 1881.8 All of these profound changes were under way as Mackenzie's Raiders departed their camps on the Clear Fork. The nation was booming; a railroad had finally stitched it together. There was only this one obstacle left: the warlike and unreconstructed Indian tribes who inhabited the physical wastes of the Great Plains. Of those, the most remote, primitive, and irredeemably hostile were a band of Comanches known as the Quahadis. Like all Plains Indians, they were nomadic. They hunted primarily the southernmost part of the high plains, a place known to the Spanish, who had been abjectly driven from it, as Comancheria. The Llano Estacado, located within Comancheria, was a dead-flat tableland larger than New England and rising, in its highest elevations, to more than five thousand feet. For Europeans, the land was like a bad hallucination. "Although I traveled over them for more than 300 leagues," wrote Coronado in a letter to the king of Spain on October 20, 1541, "[there were] no more landmarks than if we had been swallowed up by the sea . . . there was not a stone, nor a bit of rising ground, nor a tree, nor a shrub, nor anything to go by. "9 The Canadian River formed its northern boundary. In the east was the precipitous Caprock Escarpment, a cliff rising somewhere between two hundred and one thousand feet that demarcates the high plains from the lower Permian Plains below, giving the Quahadis something that approximated a gigantic, nearly impregnable fortress. Unlike almost all of the other tribal bands on the plains, the Quahadis had always shunned contact with Anglos. They would not even trade with them, as a general principle, preferring the Mexican traders from Santa Fe, known as Comancheros. So aloof were they that in the numerous Indian ethnographies compiled from 1758 onward chronicling the various Comanche bands (there were as many as thirteen), they do not even show up until 1872.10 For this reason they had largely avoided the cholera plagues of 1816 and 1849 that had ravaged western tribes and had destroyed fully half of all Comanches. Virtually alone among all bands of all tribes in North America, they never signed a treaty. Quahadis were the hardest, fiercest, least yielding component of a tribe that had long had the reputation as the most violent and warlike on the continent; if they ran low on water, they were known to drink the contents of a dead horse's stomach, something even the toughest Texas Ranger would not do. Even other Comanches feared them. They were the richest of all plains bands in the currency by which Indians measured wealth — horses — and in the years after the Civil War managed a herd of some fifteen thousand. They also owned "Texas cattle without number." On that clear autumn day in 1871, Mackenzie's troops were hunting Quahadis. Because they were nomadic, it was not possible to fix their location. One could know only their general ranges, their hunting grounds, perhaps old camp locations. They were known to hunt the Llano Estacado; they liked to camp in the depths of Palo Duro Canyon, the second-largest canyon in North America after the Grand Canyon; they often stayed near the head-waters of the Pease River and McClellan's Creek; and in Blanco Canyon, all within a roughly hundred-mile ambit of present-day Amarillo in the upper Texas Panhandle. If you were pursuing them, as Mackenzie was, you had your Tonkawa scouts fan out far in advance of the column. The Tonks, as they were called, members of an occasionally cannibalistic Indian tribe that had nearly been exterminated by Comanches and whose remaining members lusted for vengeance, would look for signs, try to cut trails, then follow the trails to the lodges. Without them the army would never have had the shadow of a chance against these or any Indians on the open plains. By the afternoon of the second day, the Tonks had found a trail. They reported to Mackenzie that they were tracking a Quahadi band under the leadership of a brilliant young war chief named Quanah — a Comanche word that meant "odor" or "fragrance." The idea was to find and destroy Quanah's village. Mackenzie had a certain advantage in that no white man had ever dared try such a thing before; not in the panhandle plains, not against the Quahadis. But there was something else about Quanah, too. He was a half-breed, the son of a Comanche chief and a white woman. People on the Texas frontier would soon learn this about him, partly because the fact was so exceptional. Comanche warriors had for centuries taken female captives — Indian, French, English, Spanish, Mexican, and American — and fathered children by them who were raised as Comanches. But there is no record of any prominent half-white Comanche war chief. By the time Mackenzie was hunting him in 1871, Quanah's mother had long been famous. She was the best known of all Indian captives of the era, discussed in drawing rooms in New York and London as "the white squaw" because she had refused on repeated occasions to return to her people, thus challenging one of the most fundamental of the Eurocentric assumptions about Indian ways: that given the choice between the sophisticated, industrialized, Christian culture of Europe and the savage, bloody, and morally backward ways of the Indians, no sane person would ever choose the latter. Few, other than Quanah's mother, did. Her name was Cynthia Ann Parker. She was the daughter of one of early Texas's most prominent families, one that included Texas Ranger captains, politicians, and prominent Baptists who founded the state's first Protestant church. In 1836, at the age of nine, she had been kidnapped in a Comanche raid at Parker's Fort, ninety miles south of present Dallas. She soon forgot her mother tongue, learned Indian ways, and became a full member of the tribe. She married Peta Nocona, a prominent war chief, and had three children by him, of whom Quanah was the eldest. In 1860, when Quanah was twelve, Cynthia Ann was recaptured during an attack by Texas Rangers on her village, during which everyone but her and her infant daughter, Prairie Flower, were killed. Mackenzie and his soldiers most likely knew the story of Cynthia Ann Parker — most everyone on the frontier did — but they had no idea that her blood ran in Quanah's veins. They would not learn this until 1875. For now they knew only that he was the target of the largest anti-Indian expedition mounted since 1865, one of the largest ever undertaken. Mackenzie's Fourth Cavalry, which he would soon build into a grimly efficient mobile assault force, for the moment consisted largely of timeservers who were unprepared to encounter the likes of Quanah and his hardened plains warriors. The soldiers were operating well beyond the ranges of civilization, beyond anything like a trail they could follow or any landmarks they could possibly have recognized. They were dismayed to learn that their principal water sources were buffalo wallow holes that, according to Carter, were "stagnant, warm, nauseating, odorous with smells, and covered with green slime that had to be pushed aside." Their inexperience was evident during their first night on the trail. Sometime around midnight, above the din of a West Texas windstorm, the men heard "a tremendous tramping and an unmistakable snorting and bellowing." That sound, as they soon discovered, was made by stampeding buffalo. The soldiers had made the horrendous mistake of making camp between a large herd of buffalo and its water source. Panicked, the men emerged from their tents in darkness, screaming and waving blankets and trying desperately to turn the stampeding animals. They succeeded, but by the smallest of margins. "The immense herds of brown monsters were caromed off and they stampeded to our left at breakneck speed," wrote Carter, "rushing and jostling but flushing only the edge of one of our horse herds. . . . one could hardly repress a shudder of what might have been the result of this nocturnal visit, for although the horses were strongly 'lariated out,' 'staked,' or 'picketed,' nothing could have saved them from the terror which this headlong charge would have inevitably created, had we not heard them just in time to turn the leading herds." On the second day they ran into more trouble. Mackenzie ordered a night march, hoping to surprise the enemy in its camps. His men struggled through steep terrain, dense brush, ravines, and arroyos. After hours of what Carter described as "trials and tribulations and much hard talk verging on profanity" and "many rather comical scenes," they fetched up bruised and battered in the dead end of a small canyon and had to wait until daybreak to find their way out. A few hours later they reached the Freshwater Fork of the Brazos, deep in Indian territory, in a broad, shallow thirty-mile-long valley that averaged fifteen hundred feet in width and was cut by smaller side canyons. The place was known as Blanco Canyon and was located just to the east of present-day Lubbock, one of the Quahadis' favorite campgrounds. Whatever surprise Mackenzie had hoped for was gone. On the third day the Tonkawa scouts realized they were being shadowed by a group of four Comanche warriors, who had been watching their every move, presumably including what must have seemed to them the comical blunders of the night march. The Tonks gave chase, but "the hostiles being better mounted soon distanced their pursuers and vanished into the hills." This was not surprising: In two hundred years of enmity, the Tonkawas had never been close to matching the horsemanship of the Comanches. They always lost. The result was that, while the cavalrymen and dragoons had no idea where the Comanches were camped, Quanah knew precisely what Mackenzie was doing and where he was. The next night Mackenzie compounded the error by allowing the men the indulgence of campfires, tantamount to painting a large arrow in the canyon pointing to their camp. Some of the companies blundered yet again by failing to place "sleeping parties" among the horses. At around midnight, the regiment was awakened by a succession of unearthly, high-pitched yells. Those were followed by shots, and more yells, and suddenly the camp was alive with Comanches riding at full gallop. Exactly what the Indians were doing was soon apparent: Mingled with the screams and gunshots and general mayhem of the camp was another sound, only barely audible at first, then rising quickly to something like rolling thunder. The men quickly realized, to their horror, that it was the sound of stampeding horses. Their horses. Amid shouts of "Every man to his lariat!" six hundred panicked horses tore loose through the camp, rearing, jumping, and plunging at full speed. Lariats snapped with the sound of pistol shots; iron picket pins that a few minutes before had been used to secure the horses now whirled and snapped about their necks like airborne sabres. Men tried to grab them and were thrown to the ground and dragged among the horses, their hands lacerated and bleeding. Excerpted from Empire of the Summer Moon by S.C. Gwynne. Copyright 2010 by S.C. Gwynne. Excerpted with permission by Scribner, a Division of Simon & Schuster Inc.